ay-Jay was a second season replacement, a tap dance specialist who also had a good singing voice, and could act. He made the Red Team and was part of Roll Call, the only male replacement mouse to ever do so. When the show ended he finished school, performed on occasion in live venues, taught tap dancing, but then had a surprising career change as a writer. John Joseph Solari was born in Boston, Massachusetts. His parents met at the roller skating rink his father managed. His mom, Mary Byrne, ... See More was an innovative roller skater, who adapted figure skating moves to the hard floor. She was recruited for the Boston Ice Skating Club by future US Coach Maribel Vinson, but instead married Jay-Jay's dad. When Jay-Jay was a toddler, his father switched to working at a carnival, the family making three trips out to California and back on the traveling circuit. "We lived in a trailer. We were the stereotypical poor white trash. I liked the carnival. It was comfortable. It was real. It was fun and games. But I was a child, and carnivals are for children, so naturally I would like it. At one of the trailer parks, when I was five, I hooked up with some other white trash imps, and we had a fine time throwing rocks through windows in a factory. I remember the incident clearly. They threw some rocks and broke some windows and then I made the conscious decision to do likewise. I made a fine hurl. It flew true to its mark. It was the most natural thing in the world. I bonded with projectiles of all types at that moment. Seeing a potential sniper in her midst, and the war being over and Hitler now deceased, my mother decided perhaps some less deadly diversion might be in order for her budding assassin. I was taken to dancing school and could tap dance as though I had been learning it for 20 years. It's just - like throwing rocks accurately - something I can do." Jay-Jay started with Irish step dancing in Boston; his older brother and younger sister also were given dancing lessons, but it was Jay-Jay who got the jobs. At six he did some radio work in Boston, then did Goodbye Again, a play with Vincent Price, at age eight. Later he did tap solos at the Boston Gardens in a variety show headlined by Sid Ceasar. Jay-Jay says that he never auditioned to get the job, he just went because he was told to by his mother. She never told him how to act or dance or behave at the auditions, as he knew better than her what was needed. He paints a picture of a fiercely ambitious stage mother, but blames his father just as much for not having the strength to oppose her. The family eventually settled in the city of San Fernando, north of Los Angeles. His father switched from the carnival to working in a stockroom for an aviation-parts supplier. 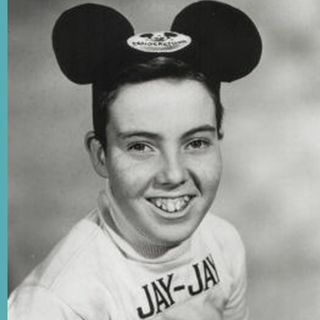 Jay-Jay graduated from stage and live performances to film auditions and television, including Dragnet and The Loretta Young Show, prior to auditioning for the Mickey Mouse Club.